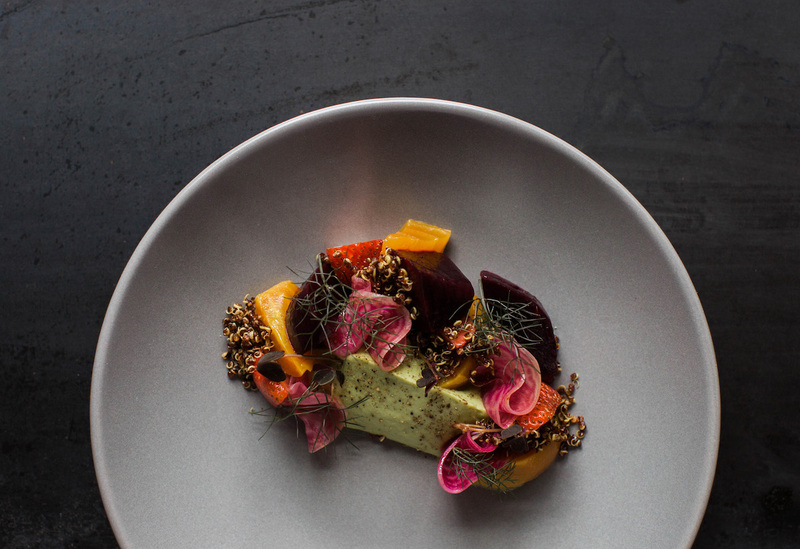 There are thousands of reviews on OpenTable, but sometimes one really stands out — as is the case with this charming review. This diner visited the Black Bass Hotel in Lumberville, Pennsylvania, 50 years (!) after his very first visit, during which he proposed to his companion. 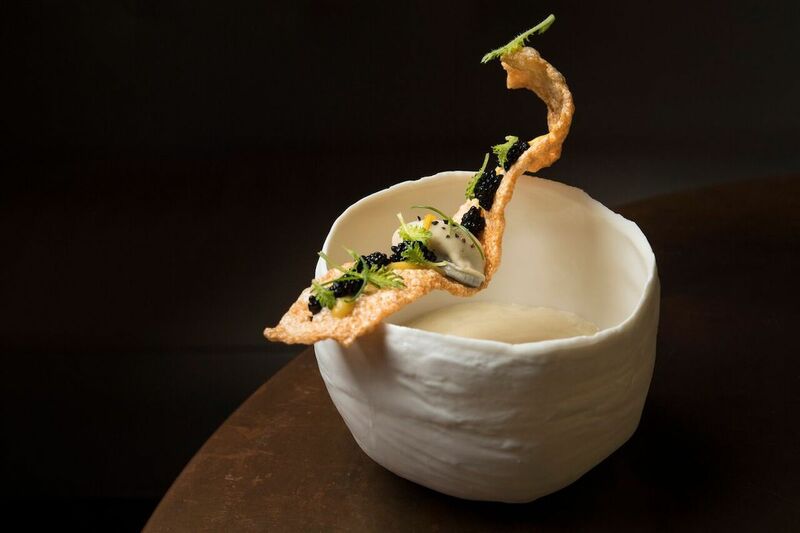 A half a century later, the pair are still going strong — as is the Black Bass Hotel. Congratulations to both on many years of excellence. Trying to decide where to dine? 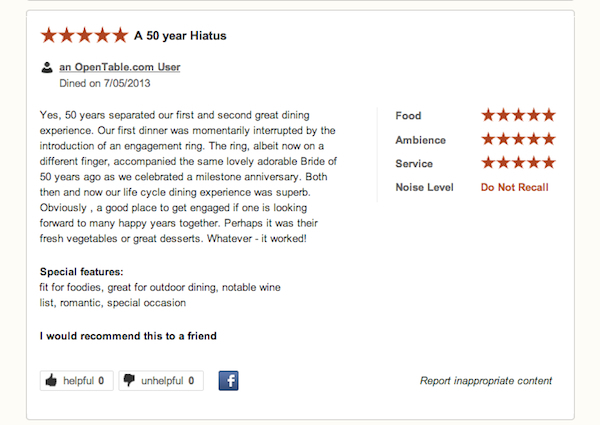 Check out OpenTable’s new restaurant ratings and reviews section. Available for restaurants in all 50 states, our ratings and reviews are created by diners like you. Designed to help you make the most of every dining experience, only OpenTable users who have recently dined at a restaurant may rate and review it, which means you’re getting credible, current information you can count on. Discover what your fellow diners are saying and remember to contribute your own ratings and reviews every time you dine out. Read more about this fun feature in The New York Times.